A tour that takes you for a cultural, historical and wildlife exploration of Kathmandu valley, and Chitwan with a scenic excursion of Nagarkot. 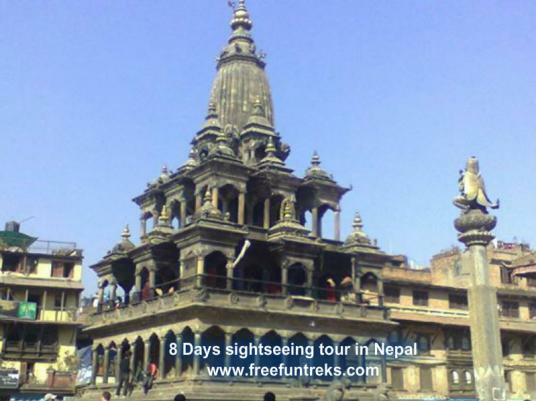 This cultural tour to some of the most significant places in Nepal offers you great fun and pleasure. The trip begins in Kathmandu, with visits to the major tourist attractions around Kathmandu Valley. After you visit the major places of Kathmandu, you head off to Chitwan. In Chitwan National Park, you get in interesting jungle activities like elephant safari, Jungle walk, canoeing trip in Rapti River, bird watching and cultural program, Tharu village tour and Jeep safari for sightseeing exotic wildlife but you have to pay extra for Jeep Safari. You will get to see rare species like the one-horned Rhino and Royal Bengal Tiger, along with several other birds and animals in your jungle safari. This close encounter with the wildlife will provide you with an experience of a lifetime. After Chitwan your next destination is Nagarkot - A village in hill top from where you will see nice sunrise and sunset views with beautiful mountains. Early in the morning you will be drive en route most amazing natural vistas of Himalayan beauty sprawls before you. On reaching the Chitwan. You can dress and our rafting guide will briefing about safety way to raft in Trisuli River then you are ready to do the rafting after around 3 hours rafting then finish your rafting continue drive to Chitwan national park check in hotel.